ISDIAH Rule refers to the rule from the applicable standard and/or the instructions provided by AtoM. The data entry fields for the Identity area of the ISDIAH archival institution template. 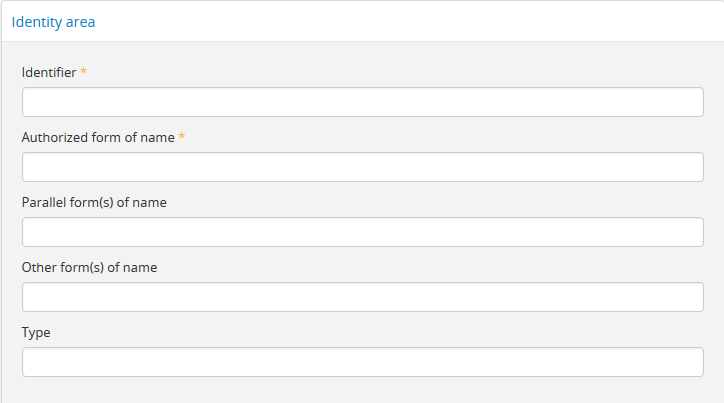 The data entry fields for the Contact area of the ISDIAH archival institution template. 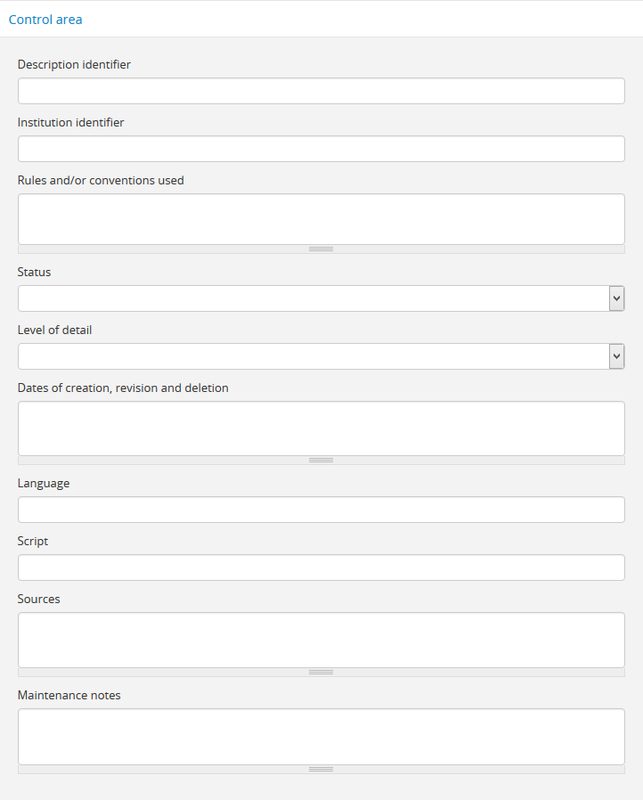 The data entry fields for the Description area of the ISDIAH archival institution template. 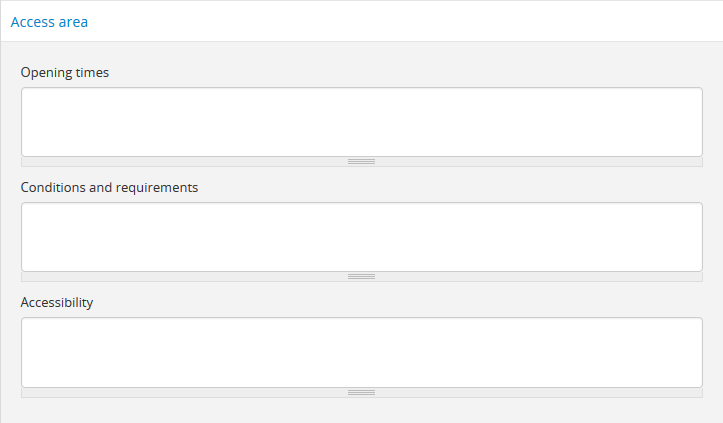 The data entry fields for the Access area of the ISDIAH archival institution template. 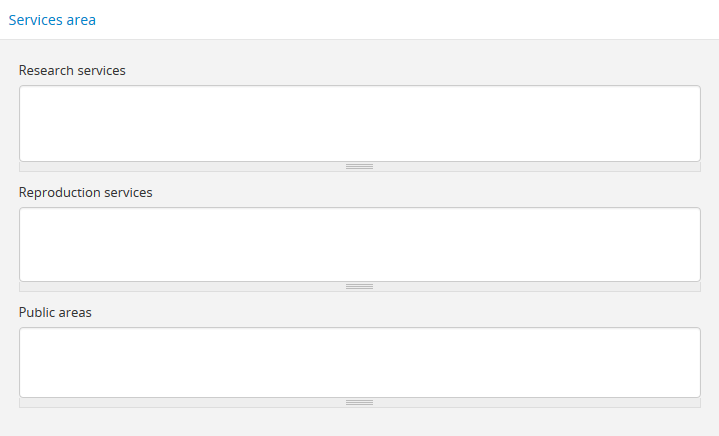 The data entry fields for the Services area of the ISDIAH archival institution template. 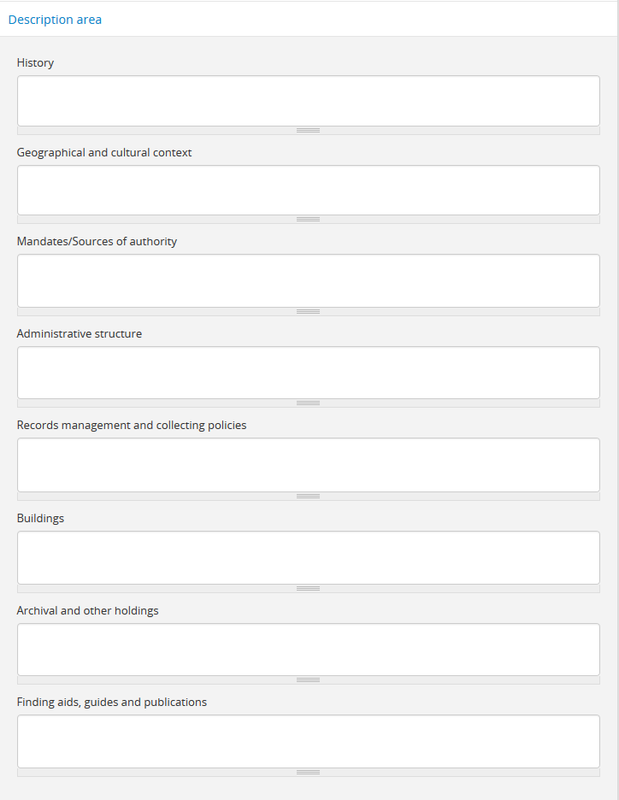 The data entry fields for the Control area of the ISDIAH archival institution template.